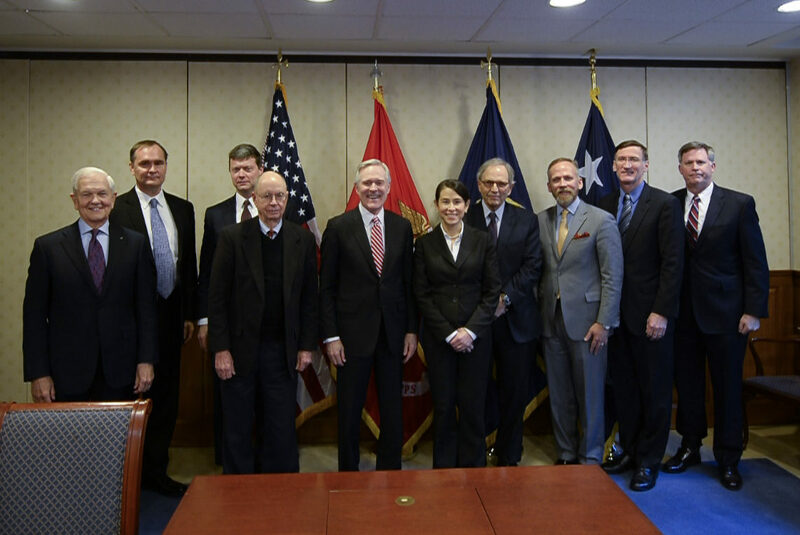 Secretary of the Navy Advisory Board 2017, The Pentagon. Pictured (from left to right): Vice Admiral (ret.) William Bowes, Dr. James Bellingham, Mr. George Nolfi, Admiral (ret.) William Studeman, Secretary (ret.) of the Navy Raymond Mabus, Professor Jennifer Lerner, Dr. Jerrold Green, The Honorable Brad Carson, Professor and Vice President Jay Walsh, and Professor C.C. Felker. 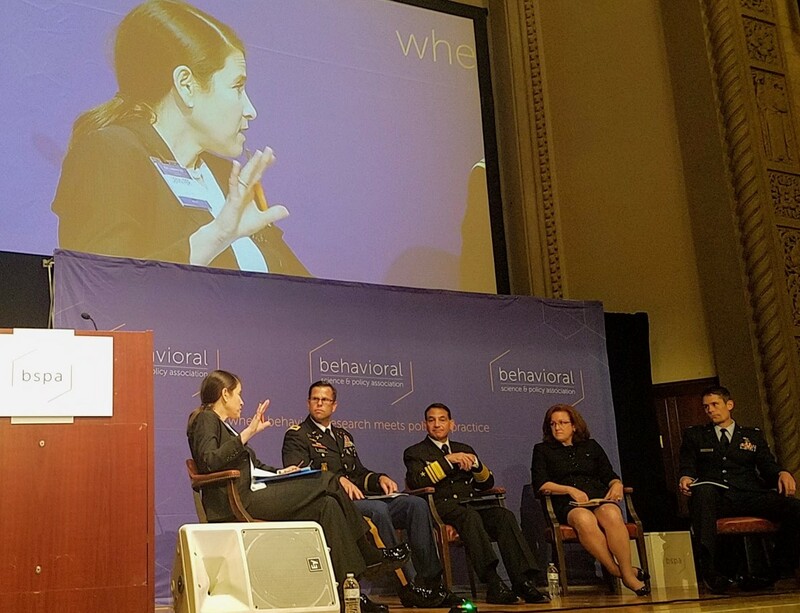 Professor Lerner moderates a panel at the Behavioral Science and Policy Association Annual Conference, 2017. Also pictured (from left to right): Colonel Richard E. Angle, Vice Admiral Herman Shelanksi, Ms. Christy Nolta, and Captain Brad DeWees. 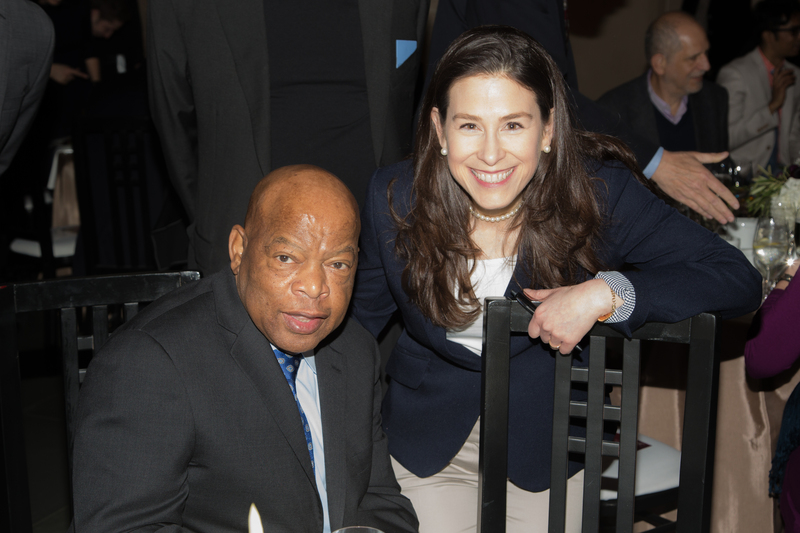 Professor Lerner with Congressman John Lewis at an event hosted by the Center for Public Leadership in April 2017. 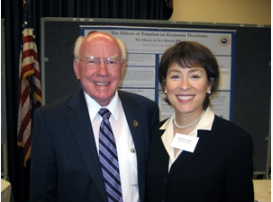 On April 14, 2010, Professor Lerner met with members of Congress in Washington to discuss her research on economic decision making. 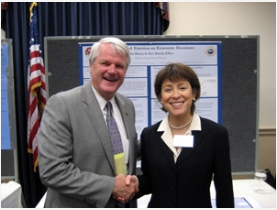 Left: Professor Lerner with Congressman Brian Baird, former U.S. Representative for Washington. Right: Professor Lerner with the late Congressman Vern Ehlers, former U.S. Representative for Michigan.